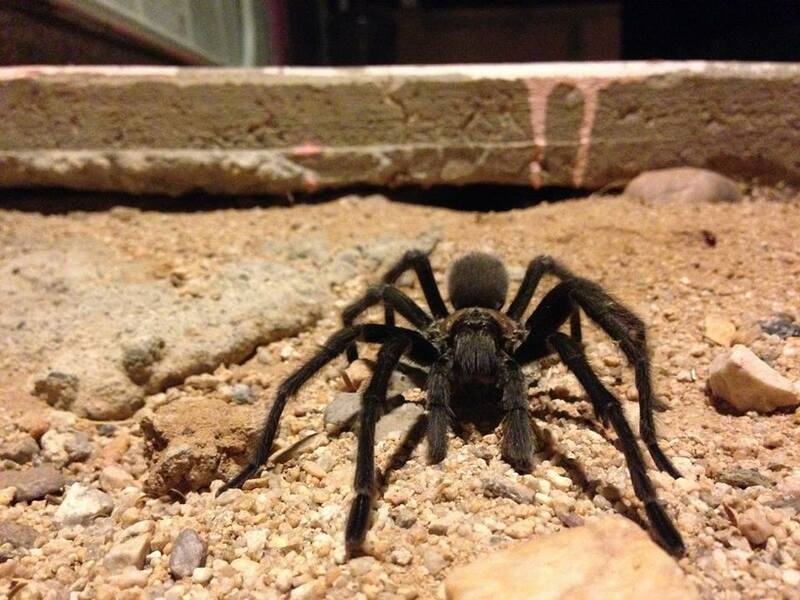 Wonder Valley artist and neighbor, David Greene, photographed this lovely tarantula on his property. David says it's about 8" from toe to toe and might be the same one he's seen the last four years. This is the mating season for tarantulas. They are gentle and basically harmless. Nice. I have one living on my property. I catch her coming out after the sun goes down. Its been a blessing and interesting watching her in and outside her burrow.